The bench of Justice Naima Haider, Justice Quazi Reza-Ul Hoque, and Justice Ashraful Kamal passed the order this afternoon. 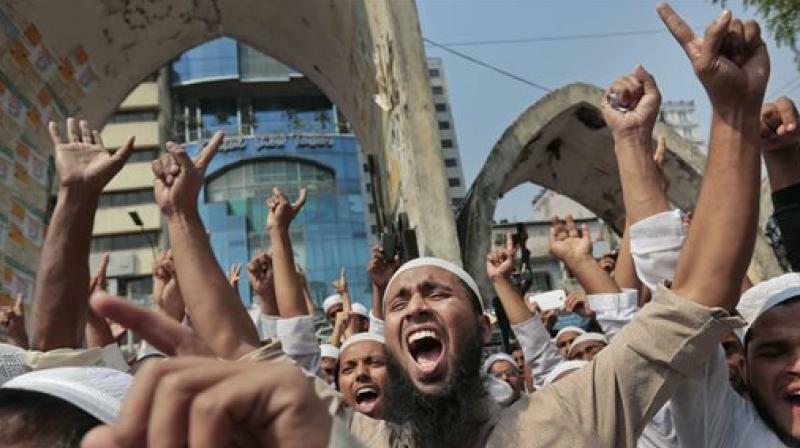 Dhaka: Bangladesh High Court today rejecteda petition by secular activists that challenges the constitutional provision recognising Islam as the state religion of the Muslim-majority nation. In its order, the High Court said the petitioners do not have the right to file the writ petition, the Dhaka Tribune reported. After the passage of the Eighth Amendment Bill on June 7, 1988, 15 noted personalities had filed a public interest litigation challenging the state religion provision. Many of them are now dead. The matter was absent from discussion tables until August 1 last year when a Hindu Supreme Court lawyer Samendra Nath Goswami filed another petition with the High Court questioning how Islam could still be acknowledged as the state religion despite revival of "secularism" as the state policy under a 2011 amendment to the Constitution. Goswami had himself moved the petition which the bench of Justice Mohammad Emdadul Haque and Justice Muhammad Khurshid Alam Sarkar rejected outright on September 7 after a brief hearing. On February 29, Chief Justice Surendra Kumar Sinha formed a new three-member bench to hear the 1988 petition following a prayer submitted on behalf of the petitioners. Today's ruling came as the country's largest Islamist party - Jamaat-e-Islami - called a nationwide strike to protest the legal move. Over 90 per cent of the population is Muslim, with Hindus and Buddhists the main minorities.